“Virtuosity, clean sound, and passion…the best” reports La Capital of Argentina. Following an appearance in Tokyo in the Pablo Casals Hall, critics hailed his playing as “a marvelous performance, deeply emotional as well as lyrical” (Musica Nova – Tokyo). Norwegian critics described Delgado as “a pianist of a thousand nuances, a fantastic experience.” (Kristiansand). 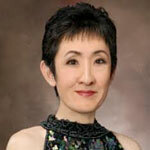 In 1977 Atsuko Seta graduated from the Department of Music, Piano Course, Osaka Kyoiku University. In 1978, she completed a Postgraduate Course, starting her career as a pianist, mentored by Argentine pianist Eduardo Delgado. She also studied at the International Academy Friedrich Wilhelm Schnurre in Sion, Switzerland in 1991 and has performed concertos in the country. In 1996, Atsuko won the Top prize of the Masterplayers International Music Competition in Italy. Her talent has been noticed by the president conductor Maestro Schumacher. Since 1997, she has performed in Europe every year, especially Piano Concertos with Sudety Philharmonic in Poland. In 2003, Atsuko Seta received the Music Critic Club Prize, which is given to the most active musician in West Japan. In 2004, she received the IBLA Grand Prize Ginastera Special Award in Italy. In 2003 and 2004, she began performing piano concertos with the Lebanese National Symphony Orchestra, the first Japanese pianist to do so. In 2005 she visited the United States, performing in Los Angeles and New York City, giving Ginastera recitals at the Yamaha Center and at Carnegie Hall and New York University during which she performed Ginastera Sonata No.1 amongst others. In 2006, Atsuko performed premiere Ginastera Piano Concerto No.1 with Sudecka Philharmonic in Poland. In 2007, Grieg Piano Concerto with Sofia Philharmonic in Bulgaria. In 2011, Chopin Piano Concerto No.1 with Osaka Doctor’s Philharmonic in Japan. In 2012, Rechmaninoff Piano Concerto No.2 with Tarnopol Philharmonic in Ukraine. In 2013, Solo Recital in Italy and Germany. In 2014, Solo Recital in Holland. In 2016, Chopin Piano Concerto No.1 with Ternopil Philharmonic in Ukraine, Ginastera Recital at Leipzig Hochschule “ Felix Mendelssohn Bartholdy ” in Germany. Since 2008, she has been living in Thailand Chiangmai with her husband, performing many Solo Recitals and Piano Concertos with CPO. Currently teaching as a guest professor at Payap University Music Department. In April 2015, she organized Japan Concert Tour with her students, this was aired on Japanese TV. 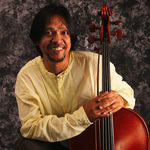 Asep Hidayat first studied cello at Middle School (1982) with Yoesbar Djaelani and continue study at Indonesia Institute of The Art (1986) with guidance Dutch cellist Rene Berman. Later he was granted a full scholarship from the Japanese Government to study of Master performance at Osaka Kyoiku under Prof. Aich Oki. Currently, he teaching at Indonesia Institute of the Art and in the stage completing his doctoral degree at the same institution. As a Professional cellist, he actively play repertoire ranging renaissance era to contemporary music, as a soloist and with chamber music. He Joined the Australian Vistuoso Ensemble (1997) Heinrich Shultz Ensemble In Japan (1999-2002), and also was elected as adjudicator of the International chamber music competition in Baku Azerbaijan (2014). He served as the artistic director of the annual Yogyakarta International Chamber music Festival (2010-2015). He has Completed 100 tours in Indonesia and Asia’s Big cities (2013) and Received the David Award from the Greek Government. Representant of the young generation of dramatic tenors. During the second year of study he made his debut in opera Candide by L. Berstein in Teatro del Giglio in Lucca, Italy. He also performed this role in premiere shows in Teatro Alghieri (Ravenna), Teatro Goldoni (Livorno), Teatro Verdi (Pisa) and in the Grand Theater in Poznań. For his role in Candide he was awarded with Jan Kiepura prize in category ‘The Best Debut of 2010 in Polish Opera’. In 2011 he was invited to perform a concert version of his part in opera Candide in Teatro Politeama Garibaldi in Palermo (Sicilia) with the acompaniament of Orchestra Synfonica Syciliana. In 2011 he was invited to perform a concert in Witold Lutosławski Studio S1 which was transmited live by the First Program of the Polish Radio. Since 2012 he has been working as a solist in polish filharmonies and theaters performing recitals, operas and oratorios. In 2013 he performed as Robinson Crusoe in polish premiere of J. Offenbachs Robinson Crusoe. In the same year he won prestigious international contest – the XV Grand Tenor Competition – organized by Opera na Zamku in Szczecin. 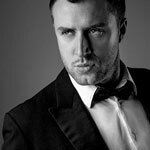 His solo career began in 2015 – as a solist he performed some of the most famous tenor arias in almost all polish philharmonies and on varoius stages in Chicago (USA), Toronto (Canada), Baden-Baden (Germany). In 2016 he was invited as a jury during International Music Competition in Chang Mai (Tailand). During the same year the won a Tenor Competition organized by Mazowiecki Teatr Muzyczny in Warsaw for the second time. 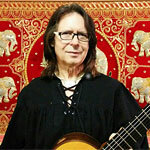 He also performed during many international festivals as a solist and concert director. He is an independent artist. Besides his solo career he works as a producer for ‘Opera Night Group’ and he co-operates with a group ‘Tre-Voci – Tenors’. Esti Rofé, described as one of the most talented flutist of her generation, was born in Israel. She recently made her Carnegie hall debut as a first prize winner of the 2012 Alexander & Buono international flute competition. Her wide international career has taken her over the world, giving concerts in leading halls, such as “Cité de la Musique” and Salle Gaveau, Paris, The “Berliner Schauspielhaus” and the Tel Aviv Museum. Esti Rofé was among the very few flutists to be accepted to the prestigious “Cycle de Perfectionnement” soloist program in the Conservatoire National Superieur de Paris, where she studied with Maurice Bourge and Shopie Cherrier. She studied at the Musikhochschule in Munich under the direction of Professor Andras Adorjan and received her second degree with highest distinction. Esti Rofé graduated the Rubin Academy of Music, Tel Aviv. Esti Rofé is a prize winner of many prestigious international competitions, including the Rampal international flute competition, Paris, the “Leonardo de Lorenzo” international flute competition, Italy, the international flute competition “A Puncielli”, Italy, and the Tel Aviv Academy woodwind competition. Rofé has been a soloist with many orchestras, among them: the Ensemble Orchestral de Paris, Roma Academia Philharmonia Orchestra, The Israel Chamber Orchestra, the Israel Camerata Jerusalem and “Orchestre de Prix” du CNSM, Paris. She leads a very active musical life, participating in various festivals including the Danish Chamber music festival, the “Stars of Tomorrow” festival in Paris, the “Santander” festival in Spain, the Pablo Casals festival in France and the “Rising Stars” festival in Berlin. Esti Rofé was a member of the Villa Musica Ensemble in Germany and she was supported by the “Yehudi Menuhin” Live Music New Foundation for encouraging young artists. She has won an outstanding award from the Meyer Foundation and the Marc Rich Foundation for artistic achievements and was supported by the American-Israeli Cultural foundation. She has recorded for television and radio, including the SWR radio, Germany, the Polish National Radio, the Israel Broadcasting Authority and the Danish radio and television. She played as a solo flutist with the English National Opera, The Bergen Philharmonic Orchestra and The Moscow Chamber Orchestra, among others. 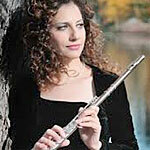 She is currently the principal flutist of the Israel Camerata Jerusalem. A Hong Kong versatile Pianist, Ricky Tsang has performed in local, mainland China, Southeast Asia, the USA and toured Australia with engagements from Qantas Airways and Jayday Music as presented as First Prize of International Inter-School Performance Challenge Award of Australia and also was featured as guest artist in 39th St. Cecilia Music Concert Series and presented a solo recital at Albert Hall in Australia where he received his Music Fellowship from St. Cecilia School of Music, Australia. Other awards include First Prizes of 12 th Hong Kong Asia-Pacific Open Piano Competition and China Shenzhen 10 th Piano Duo National Competition, Second Prize of 2 nd Asian Youth Music Competition, Third Prize of 15 th Hong Kong Asia Open Competition, “Osaka” Prize of 1 st Hong Kong-Osaka International Music Competition and among others. As a performer, his major notable performances includes the New Year Concert by the government of Xinjiang, China and 7th Icy and Snow Cultural Festival to perform "Yellow River" Piano Concerto as soloist with orchestra and has been broadcasted widely in Xinjiang, China and he has been highlighted as guest artist in the Grand Opening Ceremony of Zendai Himalayas Art Festival and the first pianist to perform at Daguan Theatre in Shanghai, China, the masterclass series of Hong Kong Arts Festival and also the Closing Concert of China Shenzhen 10th Piano Duo Competition in Shenzhen Concert Hall. As a pedagogue and adjudicator, his students are highly accomplished with ABRSM and Trinity Music Grade and Diploma Examination with Distinction results. He has been awarded “Teaching Excellence Award” from Pearl River Cup National Piano Competition in China, Guangzhou and twice nominated “Music Teaching Excellence” from China Shenzhen Piano Duo National Piano Competition. 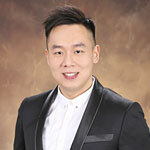 He has also adjudicated in Thailand Chiangmai Ginastera International Music Festival & Competition, China “Duke” International Piano Competition, “Hope China” National Music Competition, China Hailun Cup National Piano Competition, Hong Kong International Music Competition & Festival, Hong Kong Virtuoso Music Competition and others. 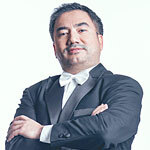 As an entrepreneur, he is the founder and artistic director of Hong Kong International Music Competition for Young Pianists and a committee member of International Piano Festival and Academy of Shanghai Conservatory of Music and also the executive director of Hong Kong – Rome Athenaeum International Music Academy. He had been a faculty at Hong Kong Academy for Performing Arts, Summer Piano Festival and presented a lecture about piano competition – Behind the Scene and also has been invited to give some Music Sharing in different local music organizations. He worked and associated with many distinguished musicians as Alexander Ghindin, Antonio Di Cristofano, Benjamin Loh, Dmitry Masleev, Golda Vainberg-Tatz, Mikhail Voskresensky, Myrthala Salazar, Oxana Yablonskaya, Sergey Koudriakov, Pierre Reach and Yuliana Avdeeva and among others. Ricky received his professional music training at the Hong Kong Academy for Performing Arts and later at Shanghai Conservatory of Music where he became a committee member of International Piano Festival and Academy. His main piano teachers include Li Ming Qiang, Franz Mo Cheung Yu, Gabriel Kwok, Zhou Keng and Angela Cholakian, a disciple of Yevgeny Malinin – the Heritage of Heinrich Neuhaus. He has also benefited from other distinguished pianists and pedagogues include Anton Kuerti, Tigran Alikhanov, Oxana Yablonskaya, Hilary Coates, Monique Duphil, Sharon Mann, Mack McCray, Yoshikazu Nagai, Vanessa Latarche, Stephen Savage and Joseph Banowetz. Winner of the first prize in the Chamber Music category at the Vietnam National Music Competition “Autumn” in 1993, violinist Pham Truong Son obtained his Master of Music degree from the Vietnam National Academy of Music under the tutelages of Dr. Do Xuan Tung and Professor Ngo Van Thanh. From 2009 to 2013 he studied at the Barratt Due Institute of Music in Oslo. In 2014 he studied chamber music with Professor Edward Schmieder of iPalpiti International and concertmaster of the Los Angeles Philharmonic Martin Chalifour in 2014. He also studied with Nobuko Imai, world leading violist. A prolific performer, Mr. Son has performed in Suntory Hall and Opera City Concert Hall in Tokyo, Japan, Leo Frankel Concert Hall in Bervelly Hills, USA and number of concert halls in Europe, China, Indonesia, and Thailand. 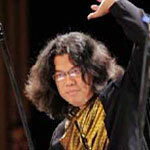 He has appeared as a soloist with the Hanoi String Orchestra and Hanoi Philharmonic Orchestra. 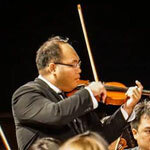 He was a member of the Asian Youth Orchestra in 1993 and 1994 and has served as co-concertmaster/principle second of the Hanoi Philharmonic Orchestra since its inaugural season in 1997. In 2009, Mr. Son founded Song Hong Chamber Music and it has now become one of the leading chamber ensembles in Vietnam. Song Hong has given hundreds of concerts in most of the major cities in Vietnam and went on several tours in Thailand, China, Indonesia and the United States. Mr. Son is currently on the violin faculty of the Vietnam National Academy of Music and head of the Chamber Music program of the String department here. He has served on the jury of the Thailand Mozart String Competition in 2011, He has judged and performed at the International Music Festival and Competition in Chiang Mai, Thailand in 2016. Daniel Pittman’s career has reached across four decades of service to various universities in the United States. 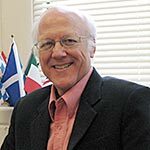 His concluding affiliation was sixteen years at Georgia Southern University where he was a fully tenured Professor Music, Director of Bands, and Interim Director of the University’s Center for International Studies. With a commitment to internationalism, he led the University’s innovative Studies Abroad Program in Music, combining European concert tours by the performing ensembles with academic music instruction offered in overseas locations in its European Academic Residency. Additional to engagements throughout the U.S., Dr. Pittman has conducted ensembles and notable performances in England, Germany, Austria, Italy, the Czech Republic, Australia, and Thailand. Most recently, Dr. Pittman was a recipient of a Fulbright Senior Specialist Grant for academic service to Payap University, Chiang Mai, Thailand. Daniel Pittman now resides in Chiang Mai where he has guest conducted with the Chiang Mai Youth Philharmonic Band and Orchestra Foundation and continues to offer consultation and support for the growth and expansion of musical arts in the city and province. Alessio Monti, guitarist and composer, began his first musical experiences in 1966, playing electric guitar in some famous pop Italian groups and writing many songs against the war. composer’s consciousness and music explorations. His style is extremely innovative and will be of great interest to lovers of many genres, from minimalist to jazz, to Eastern and Western classical traditions. Alessio has truly penetrated a creative space within himself that reframes what can be done with guitar. He is involved in intense artistic activity, participating in the most noteworthy international orchestras and festivals throughout all the Europe, Asia, Africa, the Americas, with rave reviews from audience and press alike. Often is invited to be part of the Jury of many International Guitar Competitions. Alessio’s ingenuity has him in high demand for teaching master classes, workshops and conferences abroad and in his native Italy. as well as solo guitar. His biography with some of his works and his recording are now included in the “Encyclopaedia of the contemporary composers”, edited in Italy by Pagano Editor. Actually he lives in Thailand and teaches at Music College of Payap University in Chiang Mai. He just composed the background music on the Italian translation of “Bhagavad Gita”, the holy Hindu book that will be published in three Cd (acting and music) by “Esotheric Librairy” in Milan, Italy. Miss Annette George was born and raised in Indiana, USA. She began playing flute at age 8 and followed a music education path from that time. She earned her Bachelor’s Degree in Music, (both Music Education and Music Therapy) at the University of Georgia and then worked as a music therapist in North Carolina. During her years working as a music therapist, she also earned a Master’s degree in Special Education at North Carolina State University. Aj. Annette came to Thailand in 1991 and has been in ChiangMai ever since that time, teaching at Payap University’s College of Music. She has taught private lessons on all the woodwind instruments, Introduction to Music Therapy, Introduction to Woodwinds, Western Music Literature (Master’s level), and various ensemble classes and English classes. Krit mekara was born in Chiang Mai. 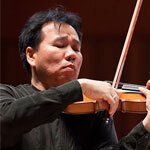 He began studying violin with Assistant Professor Sompong Wongdee and Mr.Samuck Kajaikum. After high school; he continued studying music at Payap University where he studied violin with Assistant Professor Sompong Wongdee and Mr.Pana Nackwatchara. During that time he passed Trinity College of music violin grade 8 with Merit. Krit used to be member of Kad Youth Orchestra, Chiang Mai String Ensemble as well as Payap Symphony Orchestra’s Concert Master. After graduated from Payap Univesrsity, he taught violin at Payap music school and private student. Krit received his Master degree in Violin performance from the College of music, Mahidol University, where he studied violin with Mr. Juris Madrevich and Mr. Sittichai phengcharoen. During he studied he was a member of Thailand Philharmonic Orchestra (TPO), Chiang mai Philharmonic Orchestra (CPO) and make the recordings included film music. Krit is now a concert master of Chiangmai Symphony Orchestra. He also a part time teacher for Chiang rai Rajaphat University, Substitute teacher at Chiang mai international School and Pik’s studio (his own studio). Jakaphan Chaiya was born on 2 April 1982. He started his musical life when he was 12 in the school band at the Prince Royal’s College, Chiang Mai. He selected to play trumpet until he completed his high school. Jakaphan decided to continued his study in music at the College of Music, Payap University. He took trumpet lesson with Aj. Yuttapon Suktumjareon, Aj Sompong Wongdee, Dr. Thorsten Wollmann and Dr. George H. Mc Dow. Jakaphan finished the Bachelor degree in 2003. He continued his education in master degree, trumpet performance at College of Music, Mahidol University, where he took trumpet lesson with Aj.David Heart, Dr. James Sherry and Dr. Joseph L. Bowman. 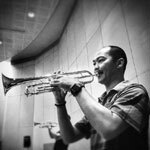 He finished his MM in 2007, Jakaphan started teaching as a trumpet instructor at College of Music, Payap University. 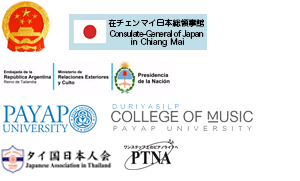 He is now pursuing his doctoral degree in music performance and pedagogy at College of Music, Mahidol University. Jakaphan has performed in several conferences and ensembles, such as Thailand International Trumpet Seminar 2012, as a soloist with Chiang Mai Symphony Orchestra, and perform in Thailand Brass and Percussion Conference 2009 and 2014 at College of Music, Mahidol University. He also joined in competition for the World Choir Games at Cincinnati, performed with trumpet ensemble in the International Trumpet Guild 2007 and 2011 in USA, and performed in brass quintet for the Galyanivadhana Institute of Music Concert 2009. 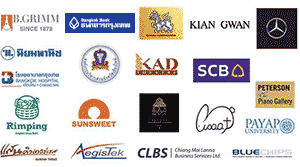 Jakaphan was a member of the Thailand Philharmonic Orchestra in 2006-2007. He also was holding the Principal Trumpet position of the Chiang Mai Philharmonic Band and Chiang Mai Symphony Orchestra from 2005 to 2013. 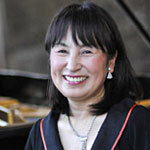 Eri Nakagawa, a native of Osaka, Japan, has been on the piano faculty of College of Music, Mahidol University in Thailand since 1995. Previously to her appointment at Mahidol she was Assistant Professor of Music Performance at Ball State University, Indiana, USA. She graduated from Osaka Kyoiku University and continued with her postgraduate studies at Mukogawa Women’s University in Japan. She completed her Master’s and Doctoral degrees in piano performance at Ball State University. Among her principal teachers were Koji Tanaka and the late Naoyuki Inoue, Mitchell Andrews and Pia Sebastiani. She has been invited as a guest pianist and professor at the University of Northern Colorado in USA, Bruckner Conservatory in Linz, Bösendorfer Saal in Vienna, Yong Siew Toh Conservatory of Music in Singapore, Corfu Festival in Greece, Western Australian Academy of Performing Arts in Perth, Moulin d’Andé International Masterclasses in Normandy, France, Piano Plus Festival in Corfu, Greece, etc. She has performed concertos with numerous orchestras. She has been a frequent soloist with the Thailand Philharmonic Orchestra. She also enjoys working as a collaborative pianist and accompanist with distinguished musicians in Thailand and abroad. 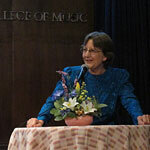 Many of her students have won top prizes in national and international competitions, and have received scholarships in prestigious schools such as Yong Siew Toh Conservatory in Singapore, the University Mozarteum Salzburg in Austria, the Royal College of Music, the Royal Northern College of Music in UK, Oberlin College in USA, etc. She received the Trinity Guildhall Award for Excellence in Music Teaching in 2010 and the Teaching Award in the 13th Chopin International Piano Competition in ASIA in 2013. Born to a musical family (his father was a renowned traditional Uzbek Makom singer), Mr. Bakhtiyor Allaberganov started piano studies at the Special Music School for gifted children in Khorezm region, and shortly thereafter won the Young Pianist Competition of Uzbekistan. Later on he again won recognition in the International Piano Competition in Ashgabad, Turkmanistan. Mr. Allaberganov holds diplomas from the Tashkent State Conservatoire where he fulfilled his college and graduate studies as piano performer, piano teacher, chamber music major, concertmaster. Mr. Allaberganov has participated in several festivals and competitions such as the Franz Liszt International Piano Competition in Utrecht, The Netherlands, and the International Piano Competition in Sao-Paulo, Brazil in 2001. 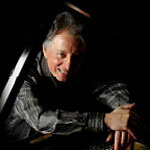 His experience as a piano teacher and collaborative pianist is extensive, having been staff accompanist at several musical institutions such as the Tashkent state Conservatoire,, the Mannon Uygur Tashkent State Institute of Arts and the The Glier Republican Music Academic Lyceum, as well as an assistant director and staff accompanist at the College for Stage and Circus Performers. Mr. Allaberganov has supported and coached numerous singers and string players through recitals and competitions in the former Soviet Union, Uzbekistan, as well as in Thailand. His main teachers have been Sarimsakova Rimma, Ofelia Yusupova, Marat Gumarov, and Nargiz Polatkhanova. Currently, Mr Allaberganov is a piano teacher at Mahidol University College of Music and a member of the Thailand Philharmonic Orchestra.